Here are the latest League One and League Two headlines this morning. 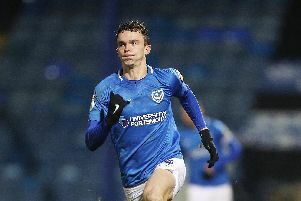 Pompey have agreed a new contract with midfielder Ben Close. Close’s previous deal expired in the summer of 2020 but boss Kenny Jackett moved to extend his stay after a string of impressive performances this season. Fleetwood Town manager Joey Barton will take training this morning, despite allegedly assaulting Barnsley boss Daniel Stendel on Saturday. MacAnthony was speaking to Posh's YouTube channel, discussing plans for next season in detail. He said: ‘We’ve already signed two players on pre-contracts. He said: ‘Would just like to thank everyone at Middlesbrough for the last 15 years I've spent there and some of the memories and people I've met.